A little bit of talking and a whole lot of fun, is what you'll get when you hire John Sweeney and the Brave New Workshop! The youngest child in a large, Irish Catholic family, John Sweeney was raised on a farm near Madison, WI. Sweeney graduated from St. Norbert College, and entered the workforce as a bright-eyed, ambitious, corporate real estate consultant. Never one to sit still, he quickly climbed to the top of the corporate ladder and became a partner in the business. He was very good at his job, but it still felt like a job. It was missing something. So Sweeney gave up his lucrative professional income, sold his shares and took a job with aspirations of comedy and minimum wage at the Brave New Workshop. 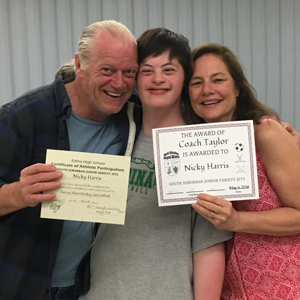 His big, 5-year-old-with-a-sugar-high personality had found the perfect fit: the world of improvisation as a performer and speaker. It fit so well that he bought the Brave New Workshop in 1997. 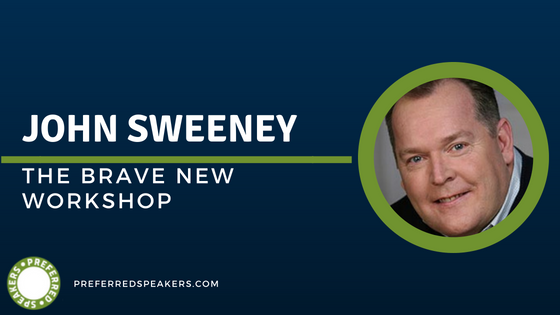 Sweeney's focus now is building the Brave New Workshop's Creative Outreach division, where he uses the skills of improvisation to teach businesses how to apply those tools to overcoming business challenges. The topics he focuses on are creativity, innovation, leadership and more. His groundbreaking new book Innovative Mindset, (Wiley) helps readers identify what's necessary to do in order to become more innovative and less fearful, and assists in creating a regimen that transforms actions. Whether personally or in a business setting, this text provides a fresh, practical understanding of innovation and can revolutionize the way we think about work. To date, his message and methods have helped an extensive list of clients including Ceridian, Microsoft, Target, General Mills, US Bancorp, Medtronic, Hampton and many others. previous post: Let’s hear it for Katy! Our SalesWoman of the Month!